This course is for people who want to refresh their knowledge of English. 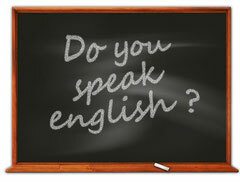 You will learn to use English in everyday situations; make a hotel reservation, order in a Café and make small talk. We will have communication exercises, basic grammar and music. After the course you will be able to make a reservation in a hotel, order food in an English restaurant and make small talk. Your vocabulary will increase and you will remember old experiences. You need school English to participate in the course.